Nacogdoches- Beginning Thursday, March 1, 2012, applications will be available for the City of Nacogdoches’ annual Historic Restoration Grant Program. This money has contributed to over 2 million dollars of projects preserving and restoring the history of Nacogdoches. The application will be available at the Durst-Taylor Historic House and Gardens at 304 North Street, the Sterne-Hoya House Museum and Library at 211 S. Lanana St. or by contacting the Historic Sites Department at 936-560-4443. Applications are due on Thursday, March 15, 2012, by 4:00 pm and can be turned in at the Durst-Taylor Historic House and Gardens or the Sterne-Hoya House Museum and Library. To be considered for funding, two qualifications must be met. First, the property must be included in the City’s Historic Overlay Zoning. Second, the applicants proposed project must be approved through a Certificate of Appropriateness by the Historic Landmark Preservation Committee before starting the restoration work. Finally, only projects started after receiving the grant award are eligible for reimbursement. Funding is limited to a maximum match of 50% of the final project cost. The applications must contain information about the project such as cost estimates, detailed descriptions of the work to be done, drawings or illustrations as necessary and history of the building. Once grants are approved, applicants have one year to complete the work authorized under the grant. The applicant receives payment from the City upon completion of the project and final review by the Historic Landmark Preservation Committee. 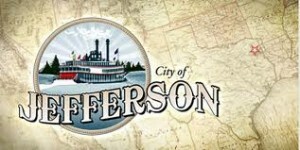 JEFFERSON- May 2-5, The 66th Annual Jefferson Historical Pilgrimage will get undeway. Jefferson is located on Big Cypress Bayou in northeast Texas and is rich with historic preservation, antique and gift shops, bed and breakfast inns, fine restaurants, museums, a new incredible model railroad located within its own recently built building, historic Oakwood Cemetery, beautiful old churches, steam train ride, riverboat rides and tours, horse-drawn carriages, mule-drawn wagons, Jay Gould’s impressive private rail car, and the Excelsior House Hotel which has been in continuous operation since 1858. You will enjoy attractions which are located wit in a compact historical district ideally suited for walking if so inclined. Jefferson- Do you believe in ghosts? If not, a trip to Jefferson might just change your mind. Jefferson has been called the most haunted small town in Texas. Fans of the supernatural and strange and unusual should head to Jefferson this October and tour the boom and bust area, where old spirits wander and taunt those who disturb them. 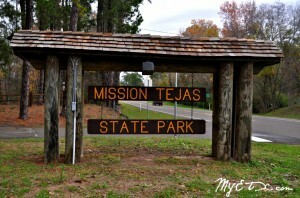 Some say some of the original residents of Jefferson are still living Deep in the Pineywoods town today.